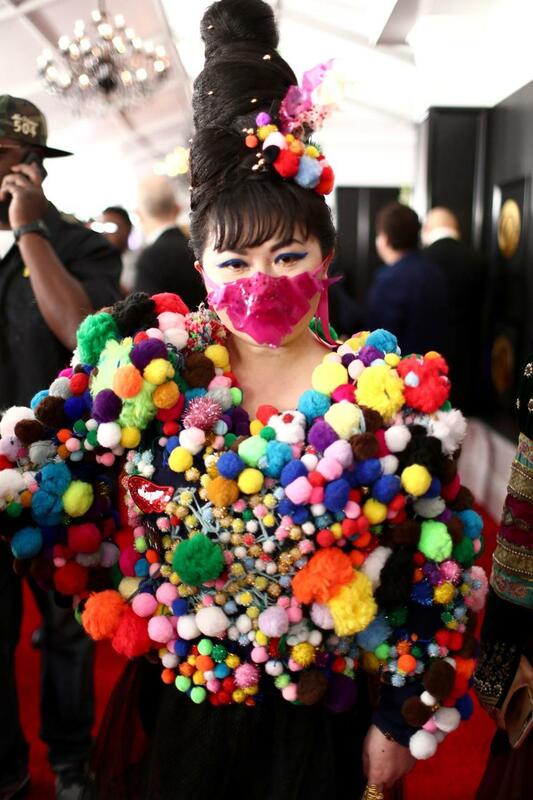 Du Yen went for the colorful look. 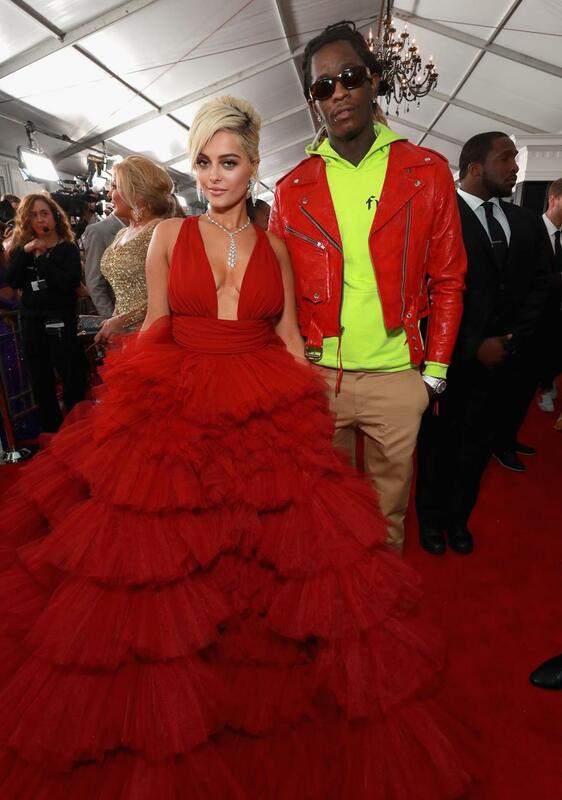 Bebe Rexha, accompanied by Young Thug, sported a red, flowing dress. 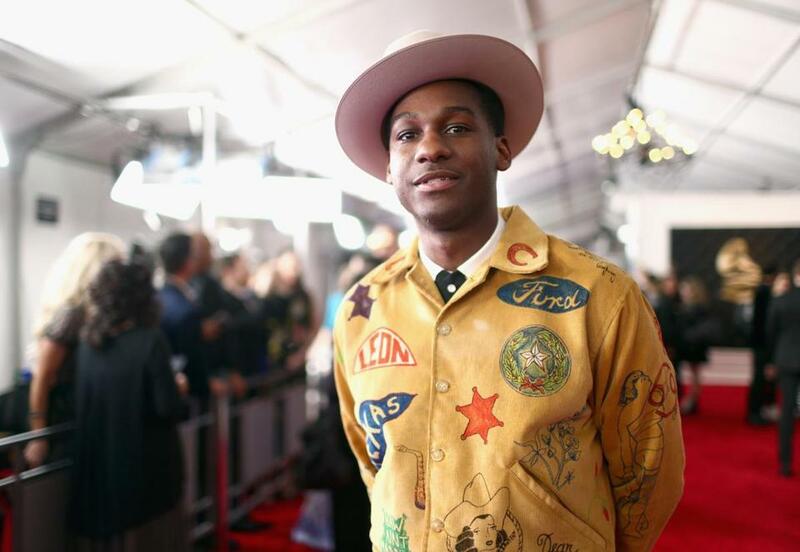 Leon Bridges said his loud outfit was in homage to Texas. 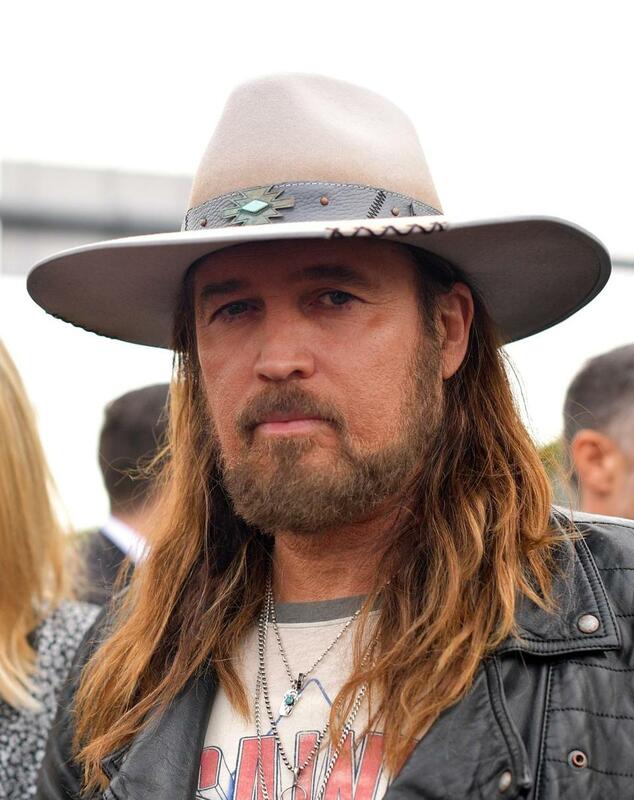 Country star Billy Ray Cyrus, attending with his more-famous daughter Miley, went for a simple look. Ashlee Simpson (left) and Evan Ross arrived, with Ross apparently wanting to show off his chains. Anna Kendrick’s dress had a fluffy touch. 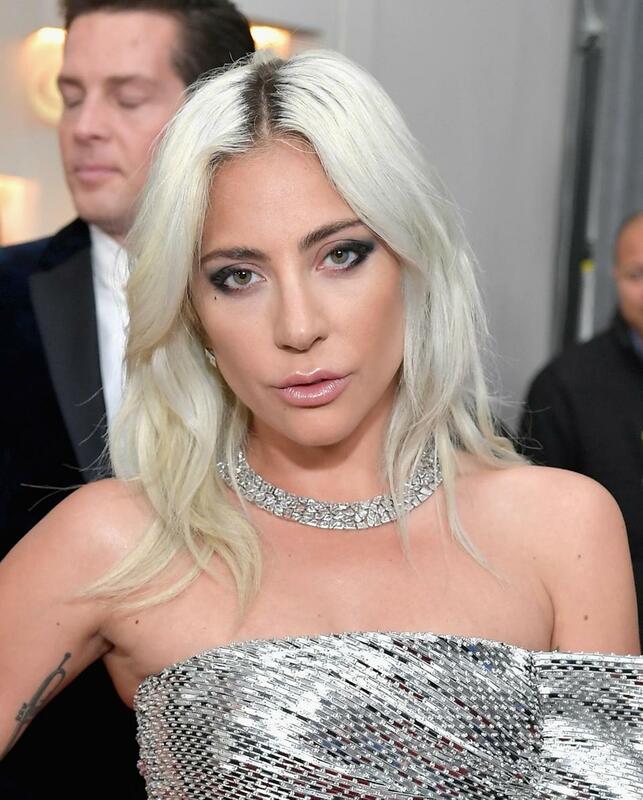 Lady Gaga’s silver dress popped out. Katy Perry’s dress popped out.